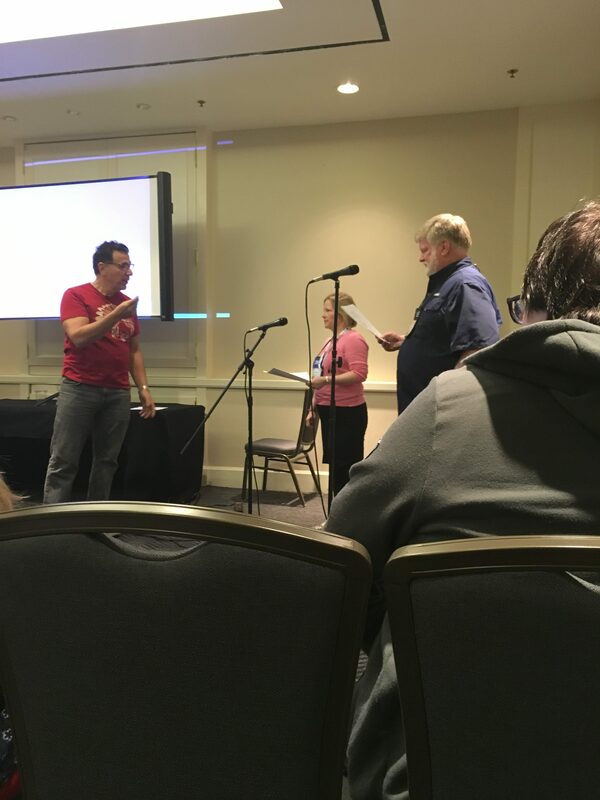 So this was my first time at VO Atlanta and much like my favorite VO blogger Paul Strikwerda whom I finally met in person, I freaking loved it! Good heavens I seriously don’t even know where to start. 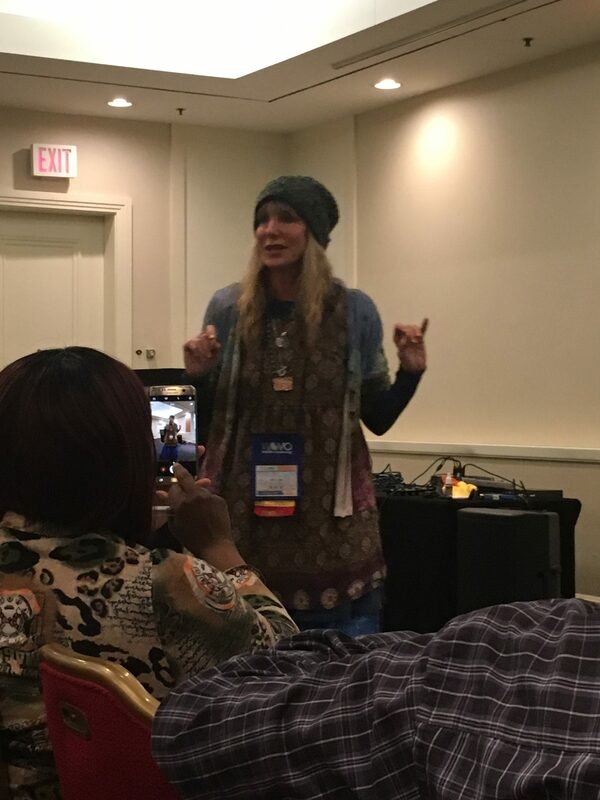 The people I met, the sessions I attended, the knowledge I absorbed, and the inspiration shared by veterans of voice over is worth every single penny!!! If you truly want to be part of this profession, then you should know there are serious investments involved. I’ve also met quite a few people who insult VO conventions because they want to get work from attending it. But it’s not about that, even though I met people who have been signed by agents and got work with visiting casting directors almost right after the convention. 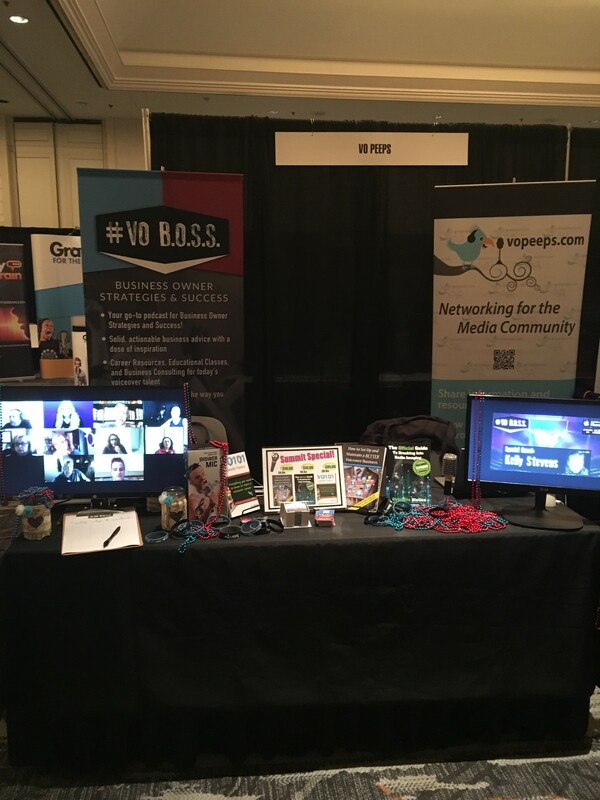 You attend to build relationships with working professionals and get to know your VO family and friends. They’re the ones who welcome anyone and everyone with open arms whether you’re a beginner, intermediate or advanced talent. Egos are left behind as smiles and support flood the atmosphere. I even brought some of my homemade macarons to share with guests! The first day is nerve wracking for all of us, but once we’re all settled in and have our schedules in place people either go to an X-Session (a class of no more than 12 people that involves 3 hours of intense training and microphone time with a working pro, casting director or talent agent), or a breakout session (hearing advice, insights and helpful tips from pros who keep up with what’s current in the industry). The only real downsides to the convention were not having enough money to buy an X-Session (unfortunately they have an extra fee), and having conflicts when one breakout session started at the same time as another. 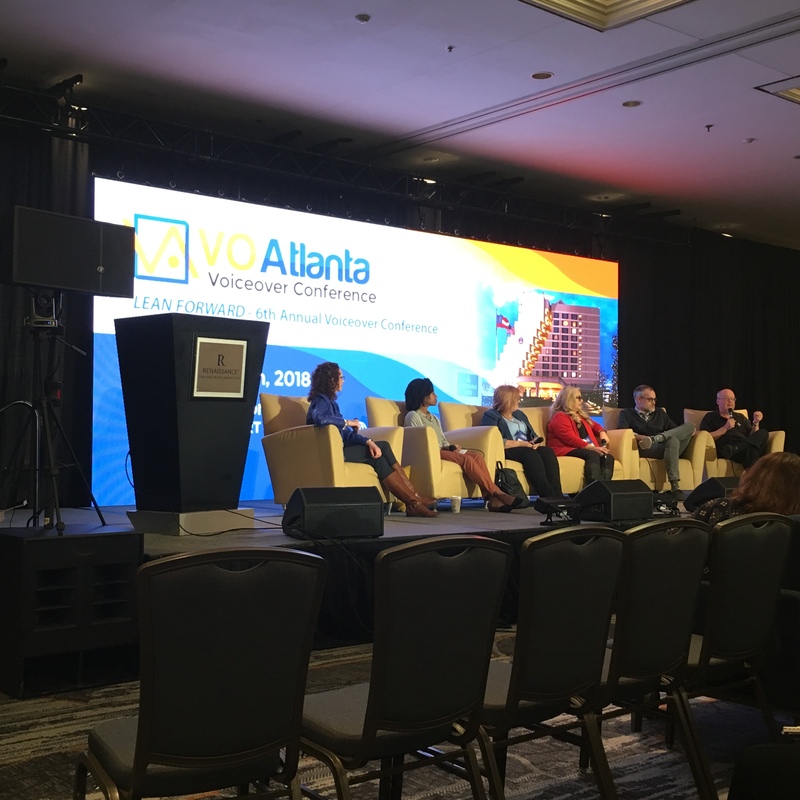 There were VO specialists with decades of knowledge and experience giving discussions on video games, animation, audiobooks, automotive spots, radio imaging, narration, commercials, promos, elearning, automated dialogue replacement, and more. Agents and casting directors hosted panels for anyone wanting to ask questions about voice over and how they work with talent. A talent screening was held for anyone who wanted five minutes to audition for an agent or casting director. And last, a small exhibit hall displayed various products or advertised services for voice over actors. 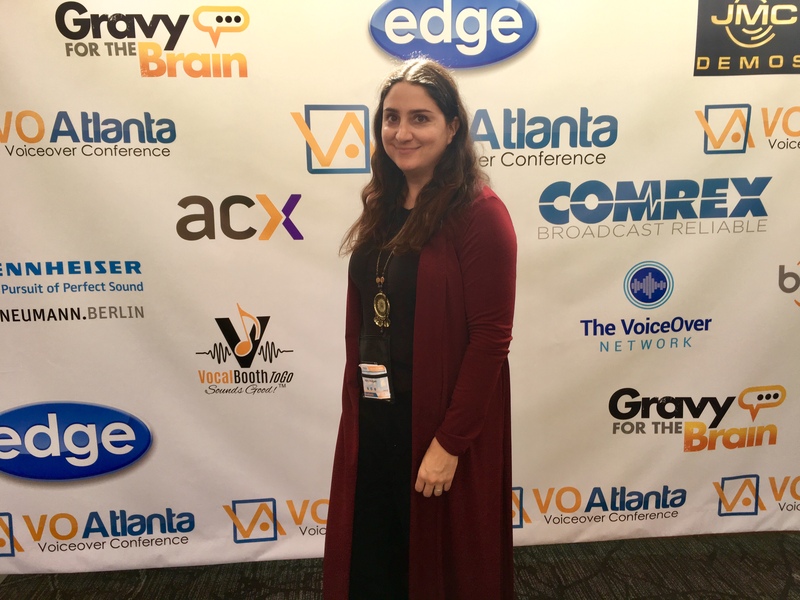 For anyone totally new to voice over, this convention can be a bit stressful for the brain due to the endless amount of information passed around for four days. Even worse, the industry changes constantly and sometimes at the drop of a hat. If you can’t keep up, you may not last long. Time is money and no one likes to have their time wasted. And as I mentioned before, there are serious investments which are not cheap. This means buying a sound booth (or adapting a space to record in like a closet or basement), or building your own (recording at home is not optional anymore and quality matters more than you may think), purchasing recording software, a proper microphone, an audio interface, subscribing to the latest technology that clients require for communication (Source Connect, Idptl, etc. 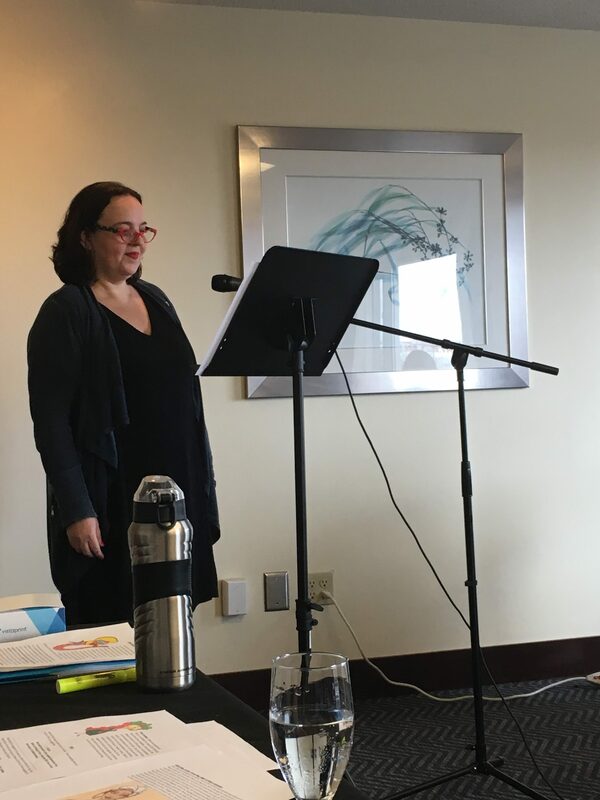 ), training nonstop with coaches who specialize in whatever genre interests you, then having a professional demo made (one per genre, never all on the same file). If you try producing a demo yourself with little or no experience you’ll ruin a first impression and won’t be forgotten for it. Don’t even think about ruling out marketing. No one is going to do it for you unless you pay good money. If you want to be taken seriously you need to find a brand for your voice and advertise your demos on a nice website (html is preferred, not flash). A pay 2 play site is optional (I only recommend Voice123 or Bodalgo and that’s it). Then there’s the need to devote time to your craft. Many voice over talents have a second job to help pay bills while they’re building their career. With research you can find some good employment opportunities to fall back on that are flexible with VO. Now don’t let despair override your enthusiasm. There’s room for possibilities if you look for them. And the convention does include some fun activities for those who need to unwind. On the third day there was a 70s theme party where everyone got dressed up and partied till close to dawn. I’m usually not crazy about parties but when surrounded by colleagues and friends I can easily let loose on the dance floor. Now I’d like to briefly discuss the hotel itself. I’m told locations change now and then regarding the hotel of choice to hold the convention. I shared a room with two others which I highly recommend if you want to save costs. The room was nice and clean, the staff were helpful, but the restaurants were… not too great. Menu items are expensive, which is not unusual, but the service time was ridiculous. 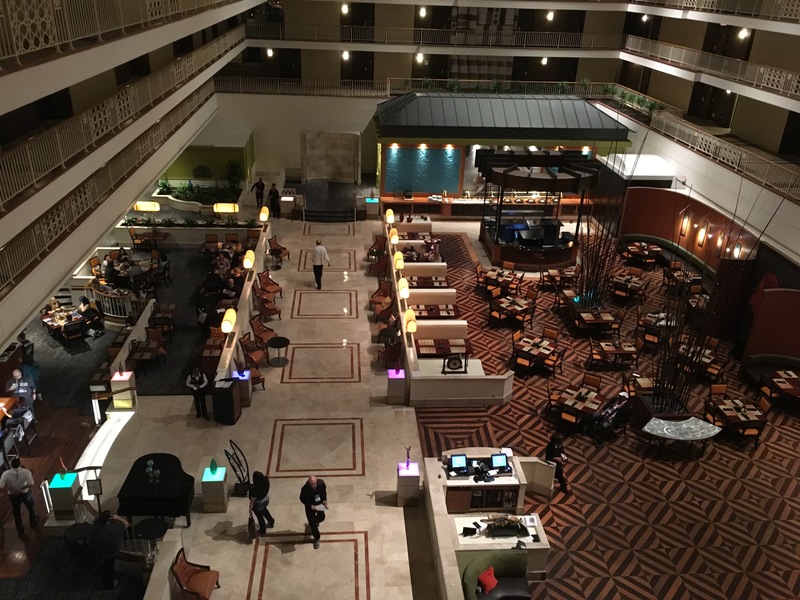 Perhaps the hotel was understaffed, or perhaps too many people attending the convention overcrowded the space. Whatever reasons, the hotel restaurant experience was unfavorable. Even worse, not everyone could afford to pay for a $22 breakfast buffet for 4 days straight. Some could not afford the $13 small Caesar salad every night. I knew of other restaurants close to the hotel but most took 15 minutes to walk to without a rental car (which I didn’t have). If you calculate the time to walk there, the unpredictable time it takes to get seated, then wait on your food, order, then eat and walk all the way back to the hotel, it can heavily affect your schedule throughout the day. With luck the convention did include some meals but not for each day which was unfortunate. If the rooms included kitchens I would have gladly cooked meals not just for myself but for friends as well since I love it. This is not to say it was a horrible hotel, far from it. But for anyone who isn’t used to staying hotels, prepare for the inconvenience of slow food service if attending conventions which are also held there. Last to mention was the fourth and final day. 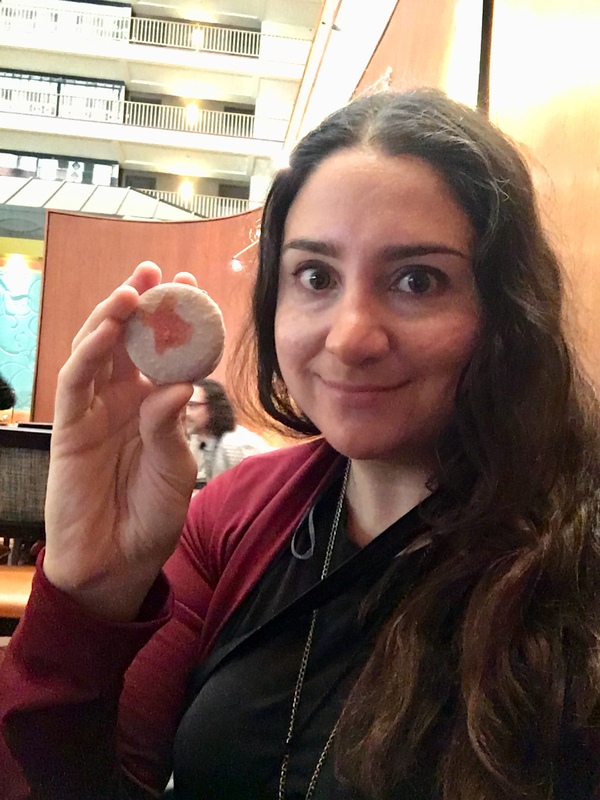 The conference founder presented an inspiring speech, then gave out lots of great raffle prizes (one of which I won, was an hour marketing with a highly successful colleague), but what I remember most is something called the Unicorn Award. It’s an award reserved for people in VO who have experienced hardships and loss. More than 20 colleagues who included agents, casting directors, branding experts, marketing professionals, demo producers and so many others donated their services for free to one lucky individual who suffered due to disappointments in health or finances. Remember, it’s a tough industry! The person selected received all kinds of valuable help such as demo productions, agency representation for a whole year, marketing help, branding help, all from multiple, generous sources. That’s the other thing I love about my VO family and community. We can truly come together and support one another. So, of all the VO conventions I’ve attended thus far, this is one of the best. 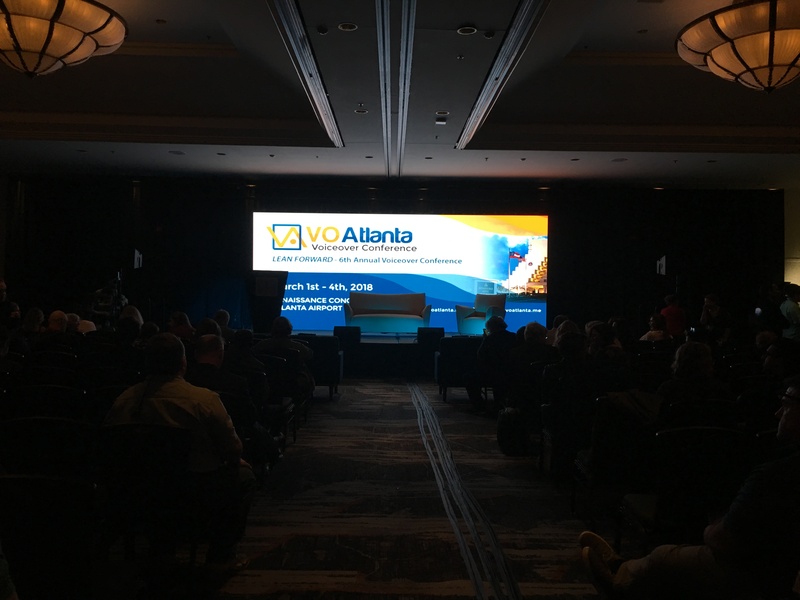 If VO is your dream career goal and you want to learn all you can, consider attending VO Atlanta at least once. I network daily with other voice over talent as well as producers, directors, etc. 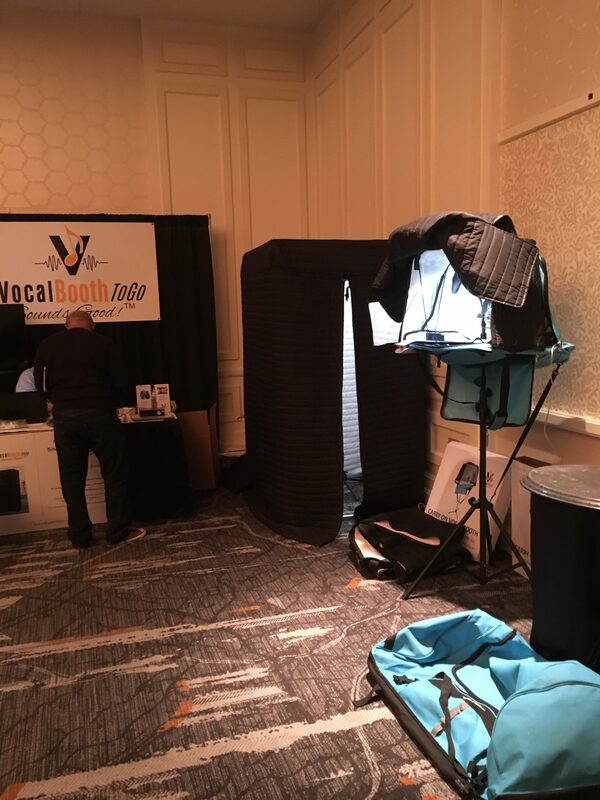 Some great projects are in development to help others no matter where they are in voice over. Stay tuned for more posts in the future!